This cuddly comforter has various play options for stimulating the senses - grasp, listen, play and cuddle. Various materials and patterns stimulate baby's visual recognition. A colorful flower ful of exciting details. 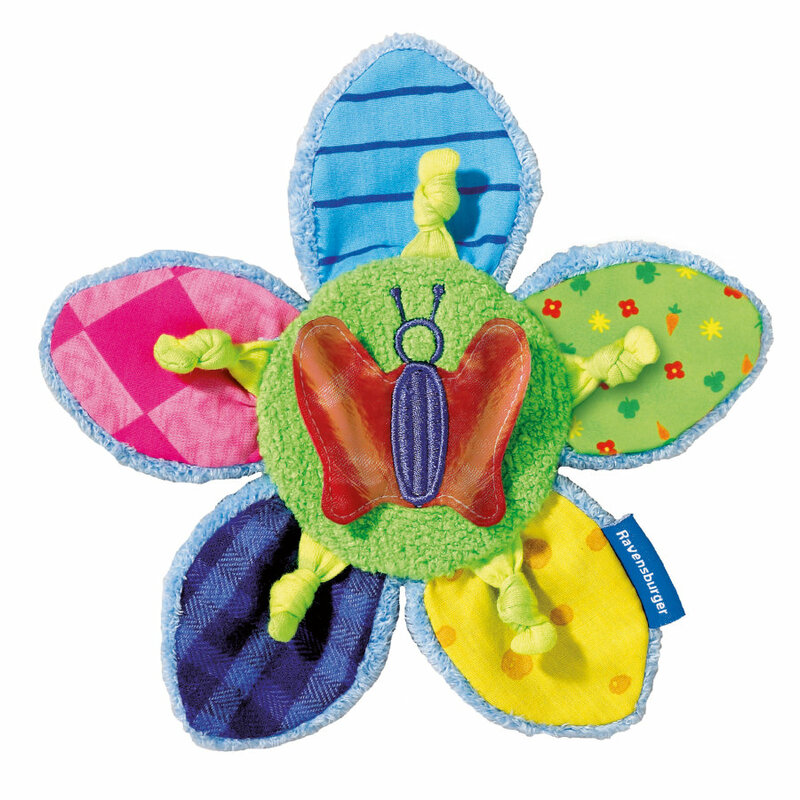 The petal rustle and the beanbag filling, the chew knots invite baby to stick this toy in its mouth.